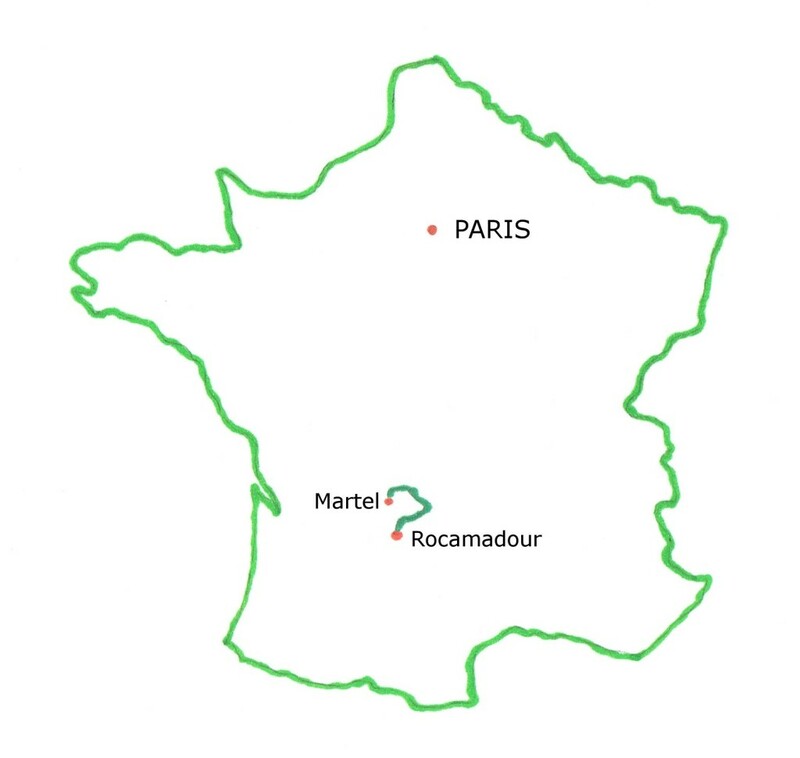 The walk from Martel to Rocamadour weaves through 130 kilometres (81 miles) of French countryside and picturesque villages and towns. 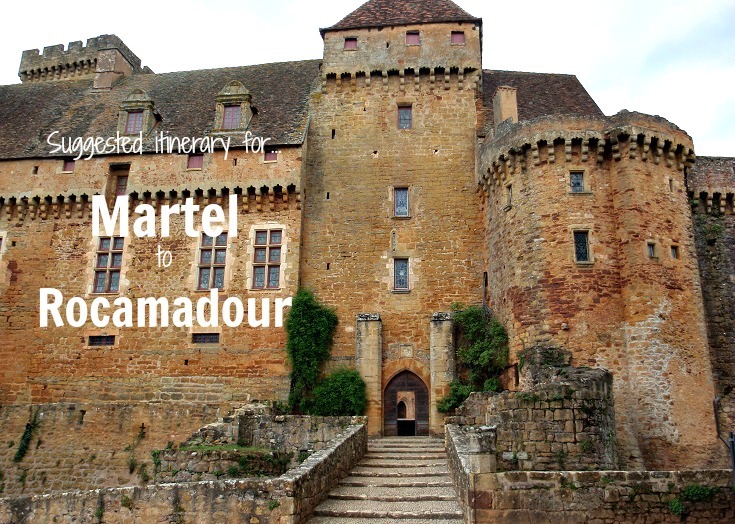 From Martel in the Midi-Pyrénées, your journey takes you north into the Limousin region and circles around through Beaulieu-sur-Dordogne before heading south once more into the Midi-Pyrénées and your destination of Rocamadour. 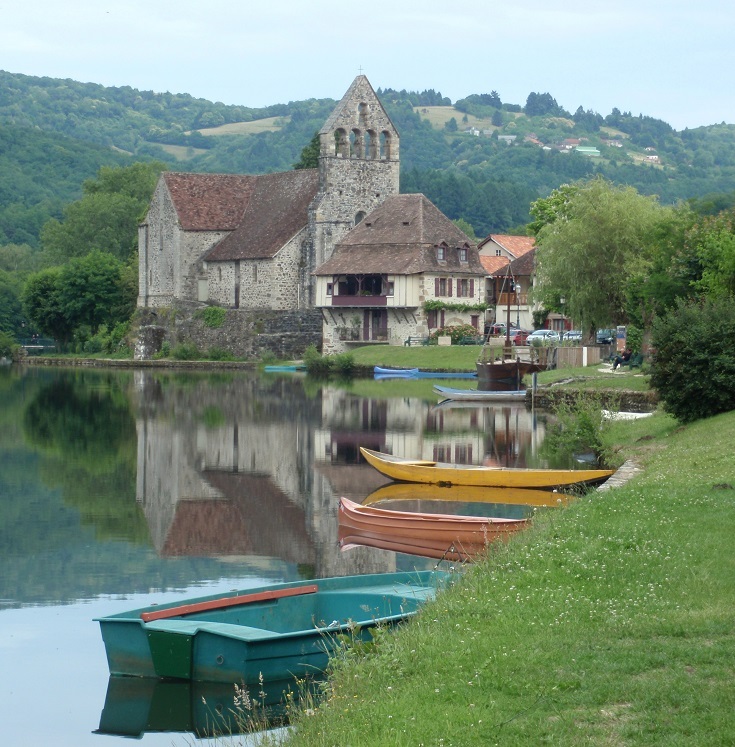 There are more than 30,000 small villages in France but only 154 of them can claim to be among the ‘most beautiful’. To qualify, a village must enjoy a rural setting, at least two historical monuments which it commits to protecting and preserving and have a population of less than 2,000. Carennac—founded in the eleventh century by Cluny monks who built the magnificent church and adjoining cloister. In addition to the visual feast that awaits you in these lovely places, you’ll discover fresh food markets at several villages where you can find regional delicacies to bolster your picnic lunches. Time your walk to visit at least one! Beaulieu-sur-Dordogne—Wednesday and Saturday morning, except for Saturday following the local fair which is held on the first and third Friday of each month. In July and August, a local produce market starts at 5 pm on Monday evening. Take a taxi from Biars-sur-Cère or Bretenoux to the sixteenth-century Château de Montal. A brochure (available in many languages) will guide you through the beautifully decorated rooms which provide a fascinating insight into the daily life of the nobility. As you leave Bretenoux and continue on your walk, you’ll reach Château de Castelnau-Bretenoux, a thirteenth-century fortress where ruling barons kept an eye out for invading armies. Climb the artillery tower for stunning views of the countryside. From Loubressac, a variante of the GR 652 walking path offers a shortcut to the next village of Carennac. You could follow it and enjoy a restful day but I recommend taking the longer route which passes by Gouffre de Padirac—a series of underground lakes and caves 103 metres below the surface. From Easter until October, a guided tour takes you by boat along an underground river before you disembark and continue on foot past majestic stalagmites and stalactites. Seven days of easy walking from Martel brings you to Rocamadour—an ancient village clinging precariously to the side of cliff. It is said that Zaccheus (also known as Armadour and a servant of Mary, mother of Jesus) came to live here in the caves as a hermit, bringing with him a black, wooden statue of the Madonna. The statue is displayed in the Chapelle de Notre-Dame and many famous figures—including King Henri II of England, accompanied by Sir Thomas Beckett—have come to pay their respects over the last nine hundred years. If you prefer online maps, you can use the GPS built into your phone to track your location on the IGN map using Géoportal which also shows GR paths clearly marked in purple. 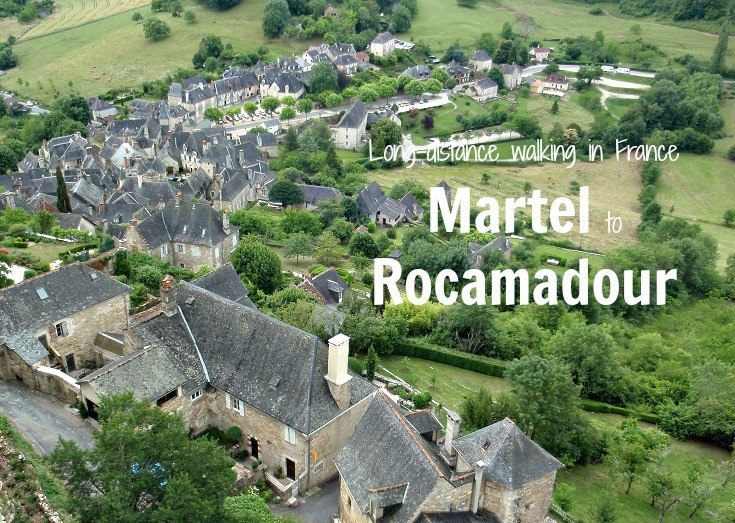 The walk from Martel to Rocamadour is one that is best taken slowly; an experience to be savoured and enjoyed. Each day brings new delights—your biggest challenge will be deciding whether to linger where you are or move on to discover the next village. It is certainly possible to complete the walk in fewer than the recommended eight days, but this schedule is based around my ‘enjoy breakfast, walk ten kilometres, have a nice lunch, walk another ten kilometres and linger over dinner’ philosophy. Day 1 Martel to Turenne (16.7 km/10.4 mi). Day 2 Turenne to Collonges-la-Rouge (6 km/3.8 mi). 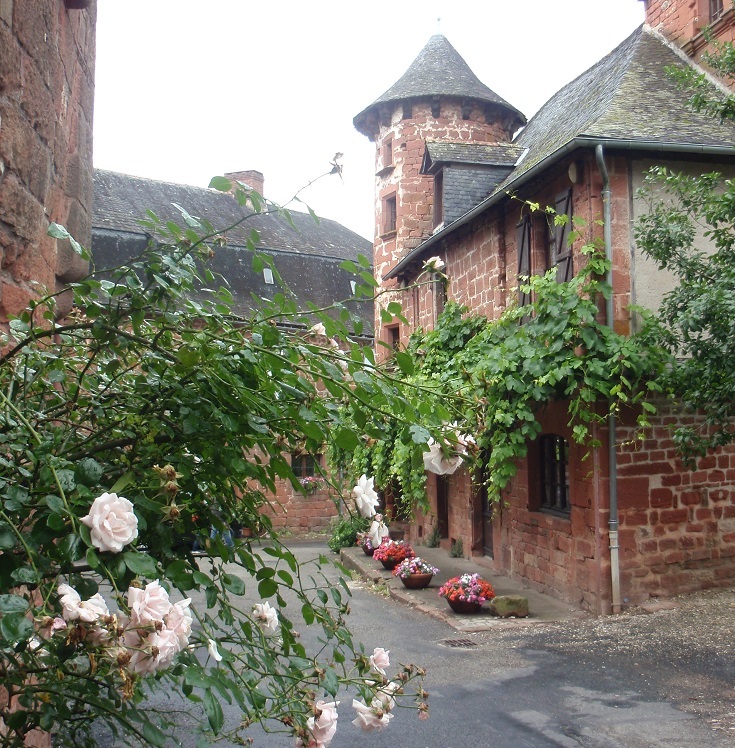 Day 3 Collonges-la-Rouge to Beaulieu-sur-Dordogne (27 km/16.9 mi). Day 4 Beaulieu-sur-Dordogne to Bretenoux (18 km/11.3 mi). Day 5 Bretenoux to Loubressac (15.9 km/9.9 mi). Day 6 Loubressac to Carennac (16 km/10 mi). Day 7 Carennac to Rocamadour (26.6 km/16.6 mi). Day 8 Rocamadour. Take a well-earned rest and explore Rocamadour. 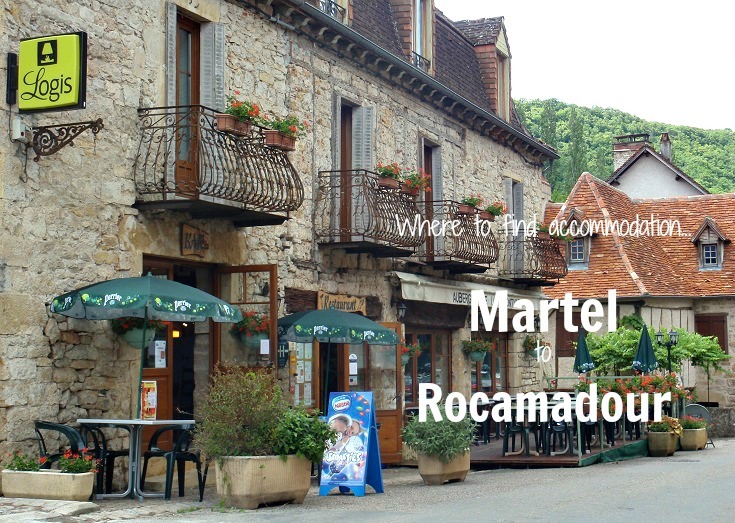 Villages along the long-distance walking path from Martel to Rocamadour offer accommodation at intervals to suit most walkers. The longest section, from Carennac, requires a walk of 25.6 kilometres (16 miles) to l’Hôpital or 26.6 kilometres (16.6 miles) if you continue on to Rocamadour. My suggested itinerary recommends a mix of long and short days to allow plenty of time for exploring Château de Castelnau-Bretenoux and for lingering in the six most beautiful villages this walk visits. But there is an itinerary to suit every time frame and dodgy knee. Accommodation is available in the following villages, with distances given from the starting point of Martel. 77 pages packed with dozens of photos, taxi phone numbers, links to accommodation websites and train and bus schedules, Tourist Offices, market days, where to find a pharmacy or an ATM, useful French phrases—and many more practical tips! To shorten the walk slightly I thought we’d walk Day and 2 on one day – is this doable? We’ll be arriving and leaving by Flixbus from Brive La Gaillard. Is there a taxi that can take us to and from the start/ finish of the walk? Day 1 and 2 combined is only 22.7 kilometres so absolutely doable in one day. 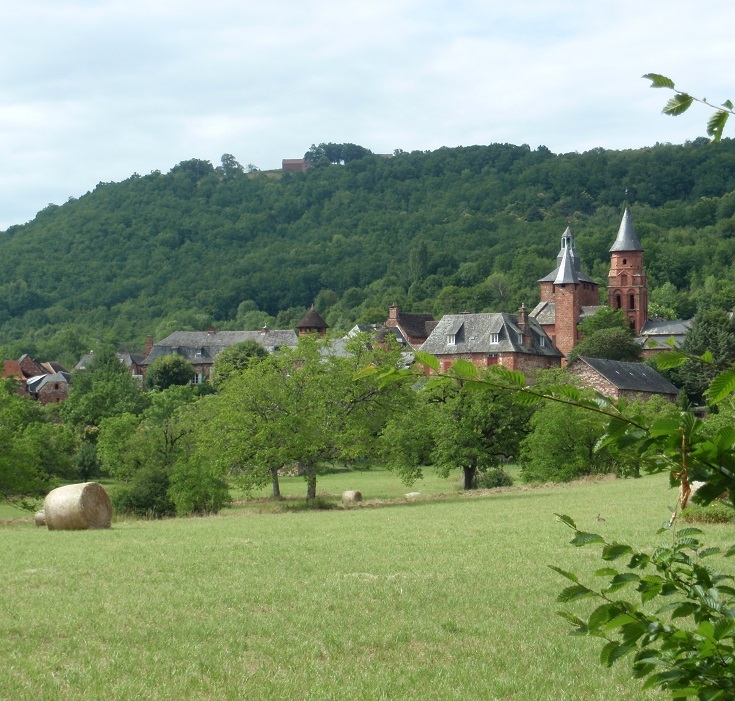 My only suggestion would be don’t rush through Turenne and Collonges-la-Rouges, take some time to explore and enjoy the villages – they really are the highlights of the walk. I’ll email you some screen shots showing where the walk starts in relation to the Tourist Office in Martel. I’ve booked accommodation and planned the route for my 21 year old daughter and I to walk Turenne to Rocamadour for the beginning of May. The weather looks OK – well no rain and a mild 20 degrees during the day. I substituted the Beaulieu to Bretenaoux walk with a 2 hour kayak to give us more time at the Wed market at Beaulieu and to give our feet a rest (I couldn’t find accommodation between Collanges and Beaulieu so a 27 km hike the day before). Will let you know how it all goes. Thanks you for the inspiration. I love the idea of kayaking from Beaulieu to Bretenoux and it will give your feet some recovery time after the long day into Beaulieu. Good thinking! Hi, I was wondering if this walk has become very popular? I want to go walking in France but i don’t want to be with 100’s of other people. I don’t mind a few of course but like the idea of it not being too busy. Dear Melinda – thanks for your absorbing site. I’m planning to walk the Dordogne in late September 2016 with a couple of friends. We have everything organised except luggage transfer – we’re too old to carry fullpacks these days. Have you heard or know anyone in the Dordogne who has such a service? Before that walk I’m planning to walk the GR34 in early September, doing day walks either out of Nante or St Malo. Have you any suggestions? If so I’d really appreciate them. I’m with you – I prefer to have my luggage transferred. I’m not aware of anyone who does it in the Dordogne region but since there a a few of you to share the cost, I would call a taxi each morning and ask them to take your bags on to the next hotel. 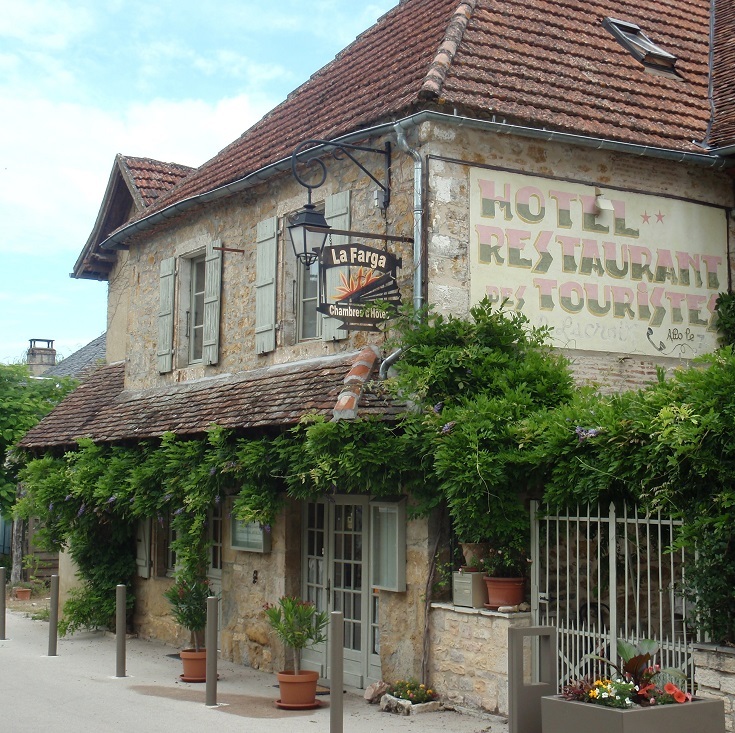 I have done this in Burgundy, the hotel made the call for us and the taxi gave us a quote, usually 40 – 45 euros. We then left the money and the bags at the hotel and started our day’s walk. Everything went smoothly. Shared among four of us, the cost was reasonable. I haven’t done that part of the GR34 but I’d be tempted to look at the section between Saint-Malo and Mont-Saint-Michel. It would too far for a single day but you would probably get to the end of the peninsula and should have beautiful views across to Mont-Saint-Michel. Saint-Malo does look a beautiful town. Many thanks Melinda – I think your suggestion of taxis for luggage transfer will be the way to go. Yes, St Malo does look interesting doesn’t it. You’re most welcome Barbara 🙂 Enjoy! Melinda, I love your suggestion of picking up picnic fare at the village markets. In average, about how many kilometers do you walk each day? I normally walk between 20 – 25 kilometres each day with a few shorter days or even a rest day thrown in. Next week I will be walking along the GR65 Chemin de Saint-Jacques from Le-Puy-en-Velay to Aumont-Aubrac and from Aire-sur-l’Adour to Saint-Jean-Pied-de-Port and my days are all between 14 and 23 kilometres. Eiropean markets are such a good source of fresh breads, cheeses, figs and fresh fruits and often a bottle of wine – they make for a wonderful picnic! I’d love to do this walk! Thanks for sharing. Thanks Nancy. This one passes through some stunning countryside and beautiful villages.